Perfect for days that are both cold and wet. Sheâ€™ll stay warm, dry, and comfortable in a waterproof outer shell fortified with 60g of insulation. The Columbia Girl's Youth Sky Canyon™ Jacket features thoughtful details, like an adjustable storm hood, fleece-lined pockets, a droptail hem, and reflective details. Perfect for days that are both cold and wet. 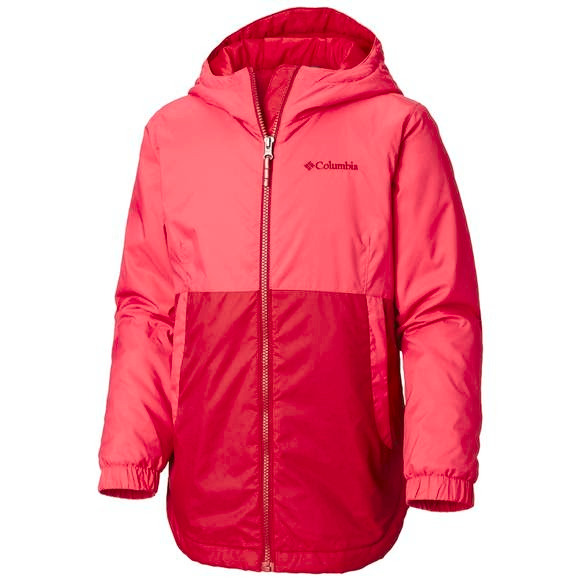 Sheâ€™ll stay warm, dry, and comfortable in a waterproof outer shell fortified with 60g of insulation. The Columbia Girl&apos;s Youth Sky Canyon™ Jacket features thoughtful details, like an adjustable storm hood, fleece-lined pockets, a droptail hem, and reflective details.